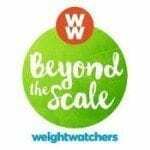 Read below for our Review on Weight Watchers plan for 2014 – Simple Start. One of the most followed and most appreciated professional Weight Loss Companies in the US has undoubtedly been Weight Watchers in the last five decades. Surely the weight loss solutions provider has planned for 2014 so that it that it can remain a leading Weight Loss Company this year too. The company has brought many weight loss products to the market which have been immensely successful. The traditional Weight Watchers Meetings and Online Weight Watchers weight loss products have been a hot favorite of millions of people. But the new age Weight Watchers programs for workplace and men have been new and interesting concepts which have been widely accepted by people. Save on Weight Watchers Today! In 2014 Weight Watchers has finally brought a highly anticipated addition to its already existing weight loss program. 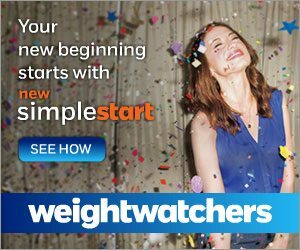 The replacement of the Weight Watchers 360 plan has been launched in the US in the form of “Weight Watchers Simple Start”. The additive plan doesn’t affect any other existing weight loss plans. Rather it brings a refreshing change in the form of a weight loss start up guidance manual which provides complete tips and food plans for two weeks for the aspiring Weight Watchers users. The Simple Start is a two week long plan which has been designed for dieters to freshly start and learn the concept of losing weight with Weight Watchers. Weight Watchers users have longed for a start up kit so that they could try the Weight Watchers’ methodology for weight loss before starting the actual “pound shedding” journey. A start up kit or plan is often required to make new users accustomed to the new lifestyle that they will have to live while trying to lose weight. That’s why this Weight Watchers Simple Start plan has been launched keeping in view the demand for a start up plan. In the initial two weeks of dieting the person will be provided complete support with a spoon fed plan which would tell them what to cook, how much to eat, how to eat out, how to plan the meal itinerary etc. The Simple Start weight loss starter plan promises that any user who would stick to it properly for these two weeks could lose at least 2-4 pounds. The amount of weight loss would depend on the metabolic rate of the dieter due to which he might lose more or less than anticipated. Imagine what a terrific start it is going to be if at the beginning phase of your weight loss journey you’re about to lose so much weight. The Weight Watchers Simple Start will just put your slow metabolism on track and you will be amazed at the results after the completion of two initial weeks. 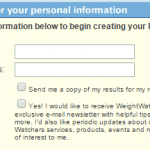 Many Weight Watchers users often felt that it took them some adjustment time to get themselves used to the points plus system and the activity points calculation. The team at Weight Watchers researched for the perfect solution so that this “adjustment phase” would get eliminated from the Company’s professional weight loss programs. That’s why this Simple Start Weight Watchers plan doesn’t require you to keep a tab on what you eat and how much you eat. You don’t have to do any points calculation because this plan would provide you complete information about those things that you could eat for breakfast, lunch, snacks and dinner. The simplicity of the Weight Watchers Simple Start plan is the biggest advantage of this plan. It works like a shock absorber for a new dieter and it helps the dieter in smoothly sailing into a healthy lifestyle. No thinking would be required on the part of the Weight Watchers participant. They can simply read the Simple Start manuals and pick up the recipe of any food item from the meal options given. The points plus calculation of the food items included in the Simple Start plan has already been done. In the two weeks you can slowly learn using the points system on your own. The Simple Start plan provides you a pre-decided itinerary for food so that you don’t have to waste time in thinking about your available food options. The best part is that all the meals included in the Simple Start plan are very easy to prepare and complete illustrative recipes have been given for each and every food item. Weight Watchers has provided you an ideal opportunity to try out its efficient weight loss programs by starting your journey with an extremely efficient start up plan. This New Year is the perfect time to kick-start your weight loss with Weight Watchers. The new users can easily subscribe for this plan by simply paying the monthly fee for either the Meetings or Online weight loss products. The Simple Start plan would also be available to the monthly pass subscribers. The existing members of the Weight Watchers can also get the Simple Start plan by choosing it while subscribing for the next month. The Simple Start plan could be used or availed in three different ways. The first one would be the Online Simple Start plan which would be available for the Online Weight Watchers members. The Online members would get all the Simple Start plan modules, tips and information on their Online Weight Watchers personal account upon subscription. Another way of using the Simple Start plan is to opt for a meetings subscription in which the meetings members would get the handbooks and written material for Simple Start when they would attend the meetings. The last method of utilizing the Simple Start plan would be through the Simple Start mobile application. Yes, the Weight Watchers has developed a customized mobile application for the Simple Start plan. Go to this page to get discounts on the different programs listed above. 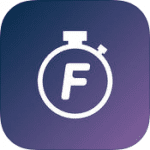 This mobile app could be downloaded on all the current mobile operating systems. The Weight Watchers users would not require a separate subscription for using this mobile app as this app would be clubbed with other Weight Watchers mobile apps. These mobile apps would be available specifically to the eTools users in the Weight Watchers community. This mobile app would provide detailed plans for everyday of those two weeks and it would also help the dieters in picking healthy snacking options. Many other features are also included in the Simple Start mobile app. The Weight Watchers Simple Start plan has been designed by considering the original weight loss theory of Weight Watchers. Weight Watchers has always strongly supported the incorporation of right balance of nutrients in the diet for a fast weight loss. The weight loss tools like points plus system have been formulated to promote the consumption of high amount of protein, very low fat and sufficient amount of good carbohydrates in addition to high fiber content in the food. That’s why Simple Start also contains options of food items that contain the correct amount of nutrient balance and low points plus values. You would be provided hundreds of food options in the Simple Start plan so that your interest in the weight loss program would be maintained. It is of no doubt that seeing successful weight loss results acts as the biggest morale booster in a dieter’s life. The Simple Start plan will help the participant in losing “fat weight” and “water weight” in the initial two weeks. The Simple Start plan would play the role of an initial “catalyst” in the complete weight loss journey of the user. Weight Watchers has done a lot of research about Simple Start before actually launching it. It can be concluded that those dieters who would start the Weight Watchers lifestyle via Simple Start would have a more successful and result oriented weight loss than the rest of the people. Their morale would be boosted due to the Simple Start plan due to which they would stick to their weight loss lifestyle in a better manner. Now upon knowing all this information about the Simple Start plan you might have certain doubts about the lifestyle flexibility offered by this weight loss plan. You might think that the Simple Start plan won’t be as flexible as the Weight Watchers weight loss programs because of the pre-decided menus. But the reality is that the Weight Watchers Simple Start plan has been created after a lot of thinking by nutritionists and the lifestyle flexibility aspect has been included in this plan. If you like eating out then you can pick up any food item from the restaurant food options provided in the `eating out guidance’ section in the Simple Start module. Weight Watchers Simple Start Plan for 2014 – 4.7 out of 5 based on 129 votes.